Every mother and father want the best for their child and sometimes that transpires into buying cool things, and why not, because sometimes affection is shown through gifts, whether they be fluffy and neat or even hard and gadget-like. My boy’s likes gadgets and girls soft and fluffy, have done ever since I can remember and that’s why I thought putting together a few of the coolest mealtime funky toys around might be some fun and also informative for those who like the weird and wonderful world of baby feeding time in their best baby high chair. 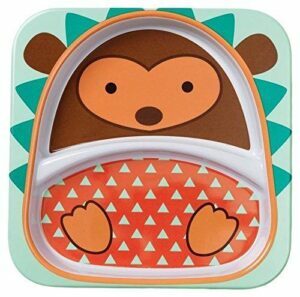 Every parent can either remember the feeding game at dinner time as a child growing up or knows what it is like to play the flying plane or cho-cho train game to another, its a real classic and that’s why I thought it would be an ideal intro for our awesome infant mealtime gear. The concept is simple, but surprisingly ingenious too. The way it works is getting you involved and play the role of pilot and at the same time your child gets your undivided attention, which is what they are crying out for. 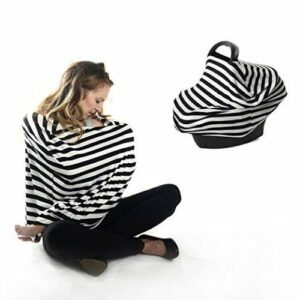 Another child gadget is the multi-purpose breast feeding cover which is for the mother, like many i know, who don’t want their breasts on display whilst feeding. The awesomeness of this parenting device is that you can maintain all dignity and keep to parents essentials at anytime anywhere. Plus I forgot to mention it can used for cover seats, pillow case and even a cover for the canopy. Baby food dispensing has never been easier with this spoon that allows feeding while on the go, but with one bite at a time. This cool design makes storage of food easier and simpler without needing to clutter around loads of bits and pieces for feeding you little one. The small spoon makes feeding easy, especially with a 3 ounce capacity, which will keep the long days out less heavy and more fun. How cute is this? Way too cute you’re saying! This should be every meal time essential for the mother I think, it’s cute, funky and inspiring all in just one image. The Fisher-Price Rain forest is an adorable seat to ensure the baby gets up and ready for their meal-time essentials. This cool gadget has things to play whilst getting fed and will keep the children entertained for each time the next dinner is served. Some of the cool gear features are the rain forest theme which getting the early developers health conscious as well as conservation, which is likely needed when they grow up, because already it can be seen as essential. Awareness starts early! Lastly, the parrot is super cute and makes getting fed a little less frustrating when mum is in a hurry and needs to get the choirs done. Whatever your parenting mealtime needs there is a few to get the imagination flowing here and hopefully you and your infant’s feeding time will be inspired with color, touch and convenience.